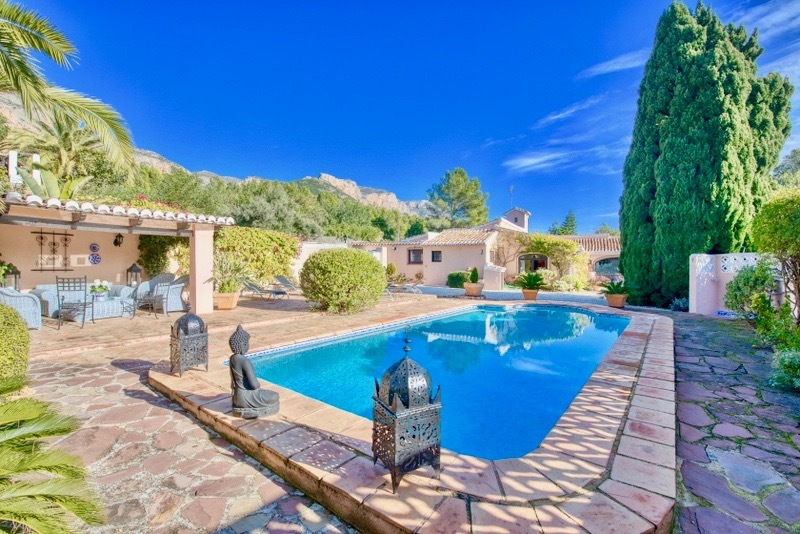 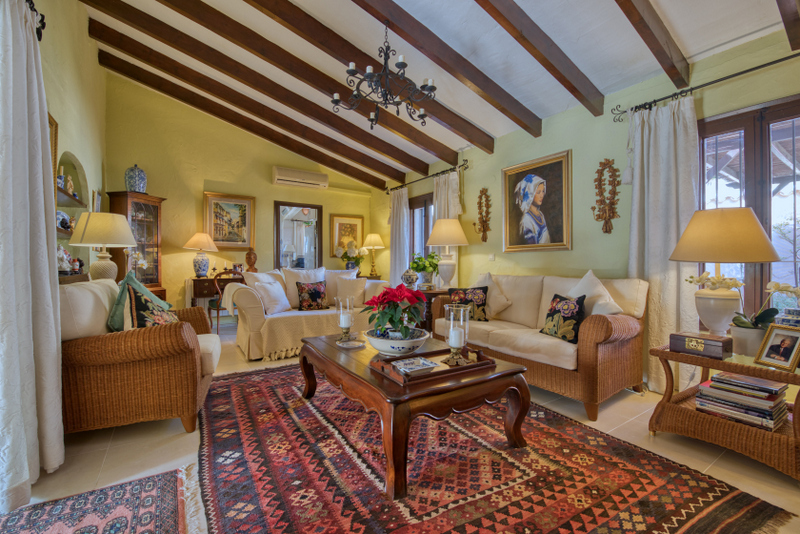 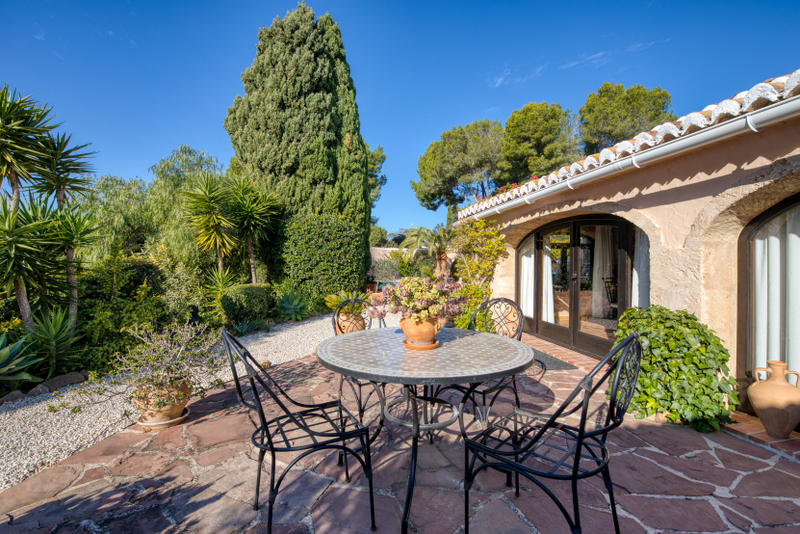 Javea Finca beautifully presented finca ideally located within walking distance of the village of Jesus Pobre and a 15 minute drive from the bustling resort towns of Javea and Denia. 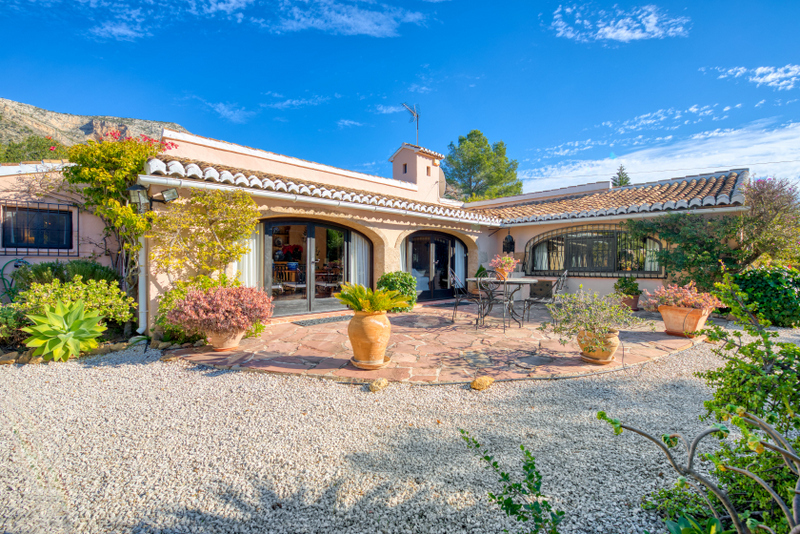 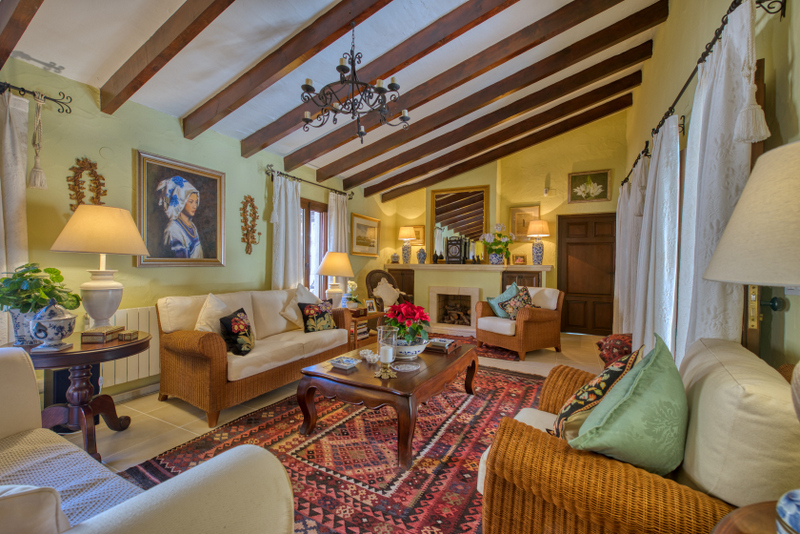 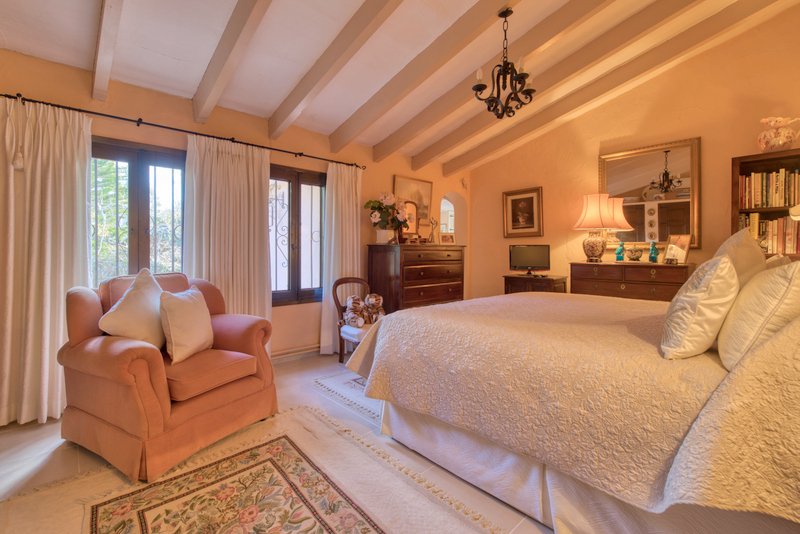 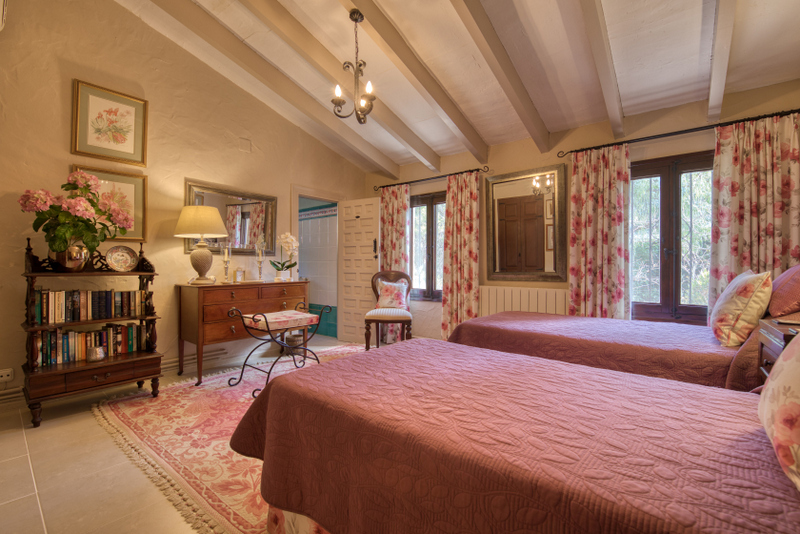 This typically Spanish property with a wealth of beams and tosca stone is set in landscaped gardens and has the stunning backdrop of the Montgo mountain. 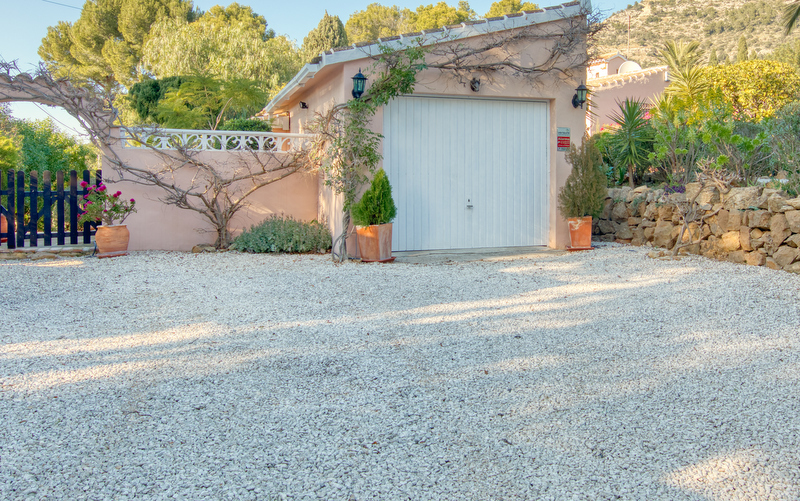 The entrance is through electric gates to driveway parking for several cars and garage with workshop. 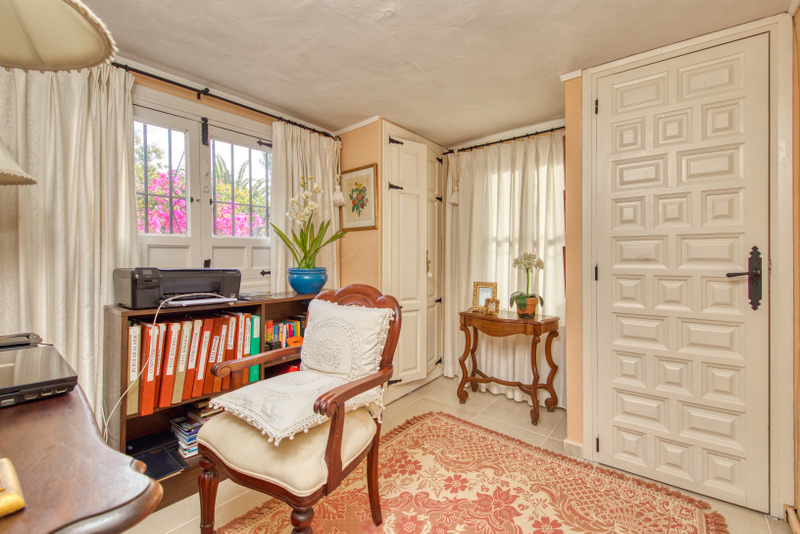 Once inside, it is very private and overlooked. 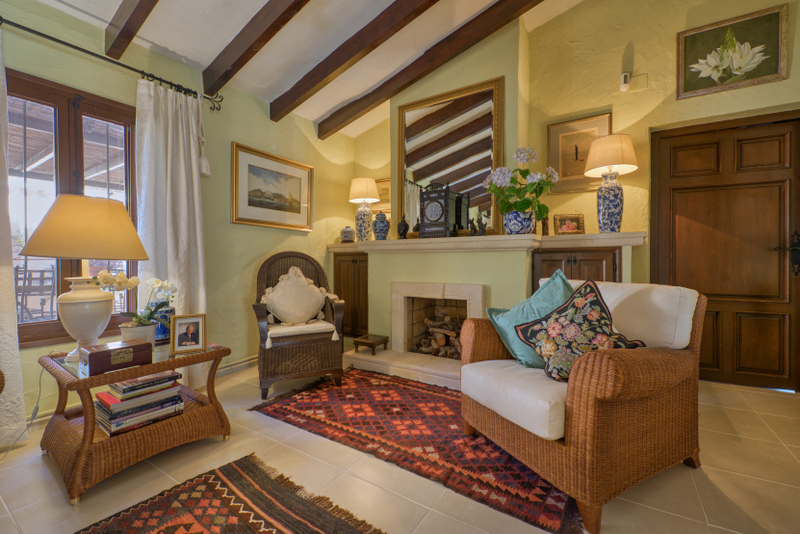 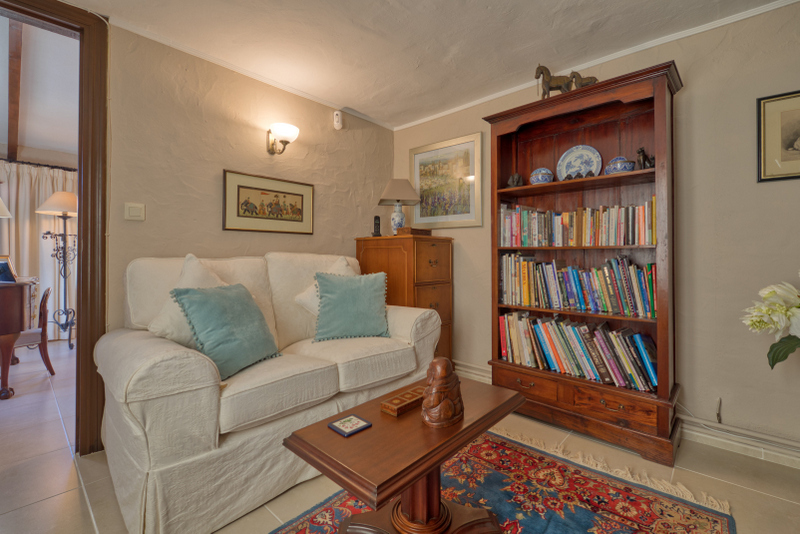 The house is accessed through a large glazed naya offering both dining and seating areas, leading to a lovely sitting room with open fireplace and doors to the rear courtyard. 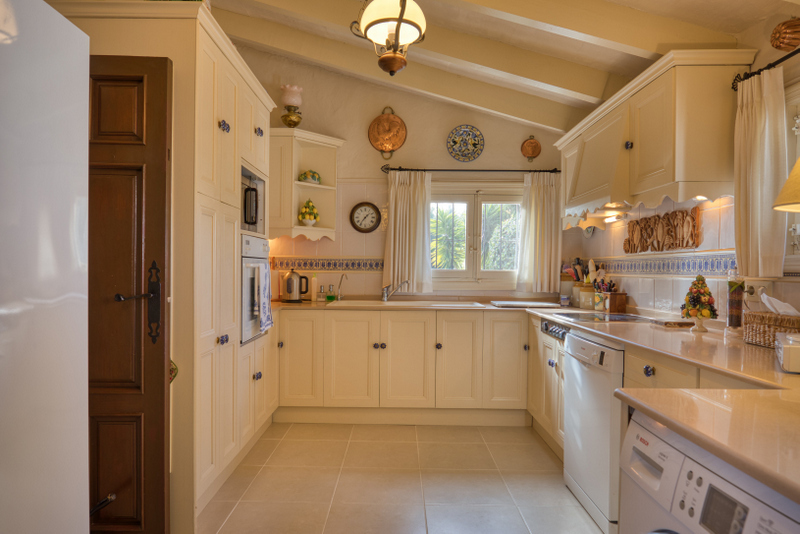 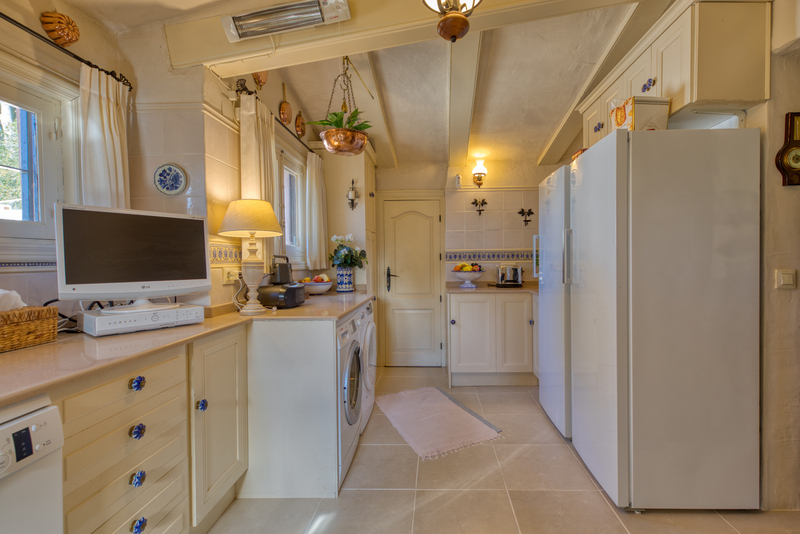 The farmhouse style kitchen is fully fitted with quality appliances and also has access to the courtyard. 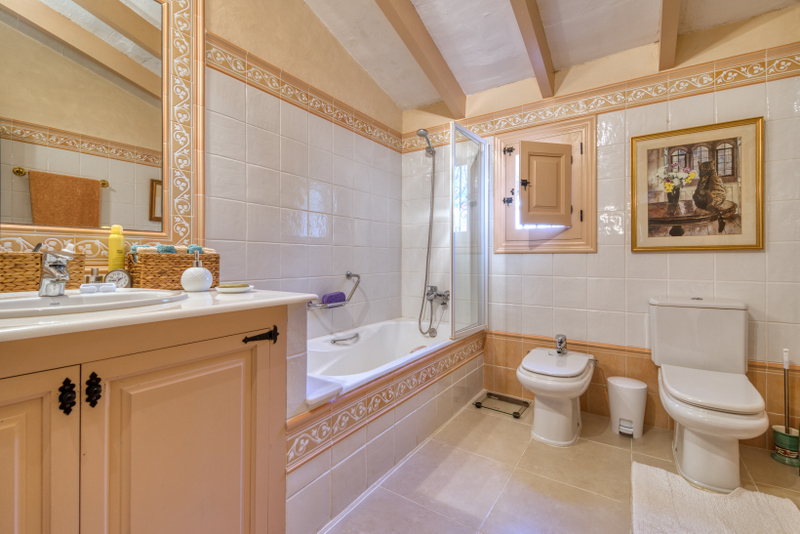 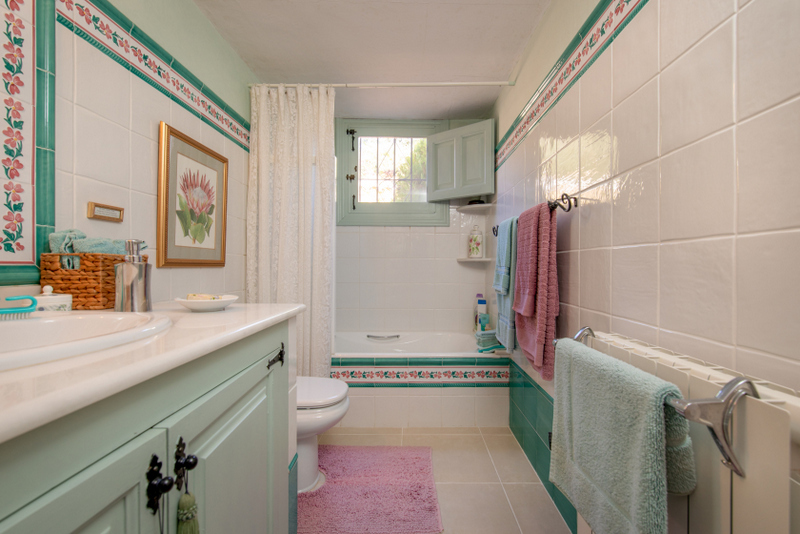 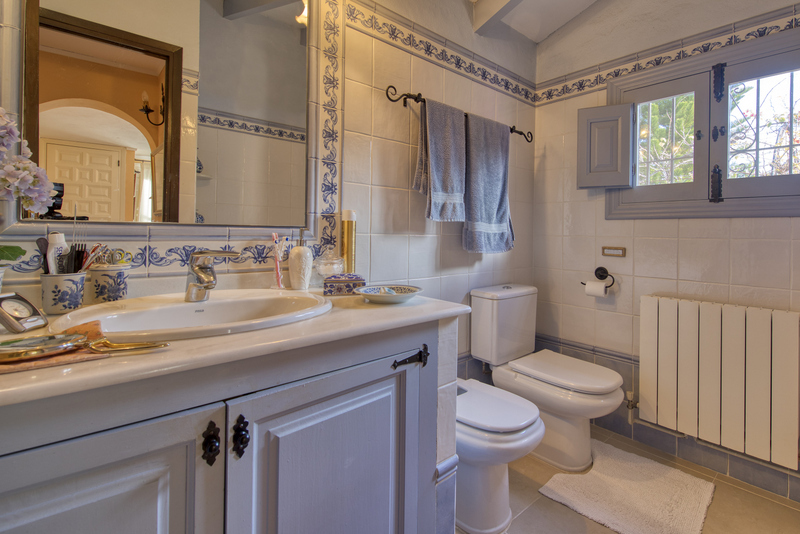 There is a family bathroom and two generous ensuite bedrooms, the master having the addition of a study. 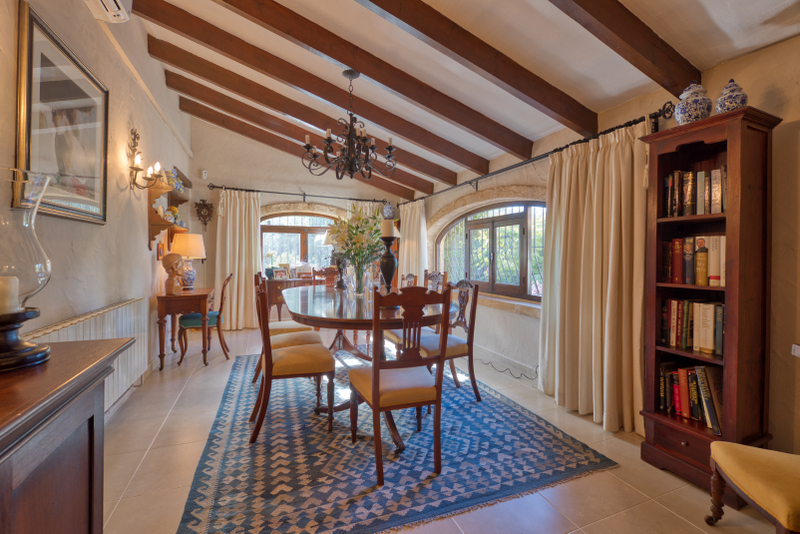 An elegant formal dining room with cozy “snug” could easily be converted into a further bedroom and ensuite if required. 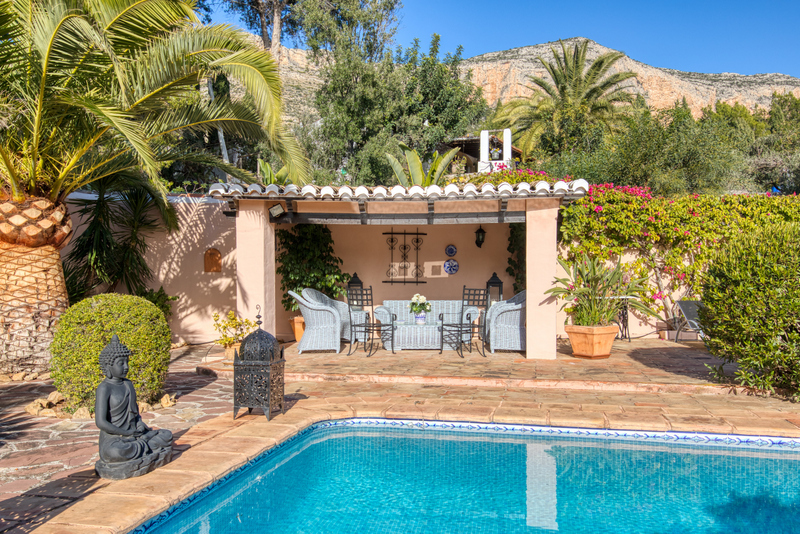 Outside the pretty south facing pool area has ample terracing for sunbathing and an adjacent pergola for essential shade. 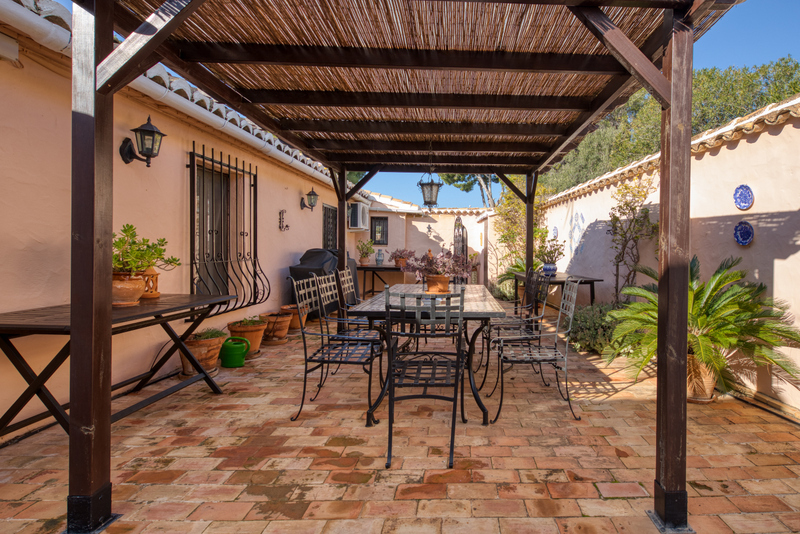 The rear courtyard provides a perfect setting for al fresco dining. 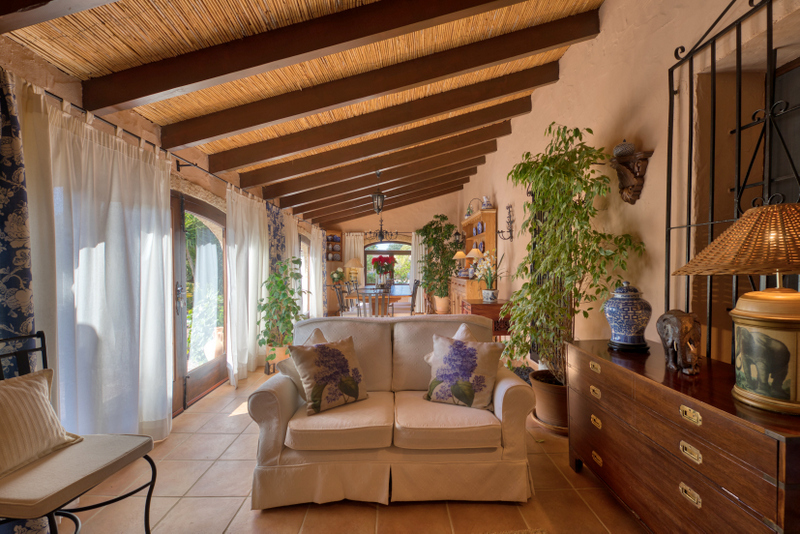 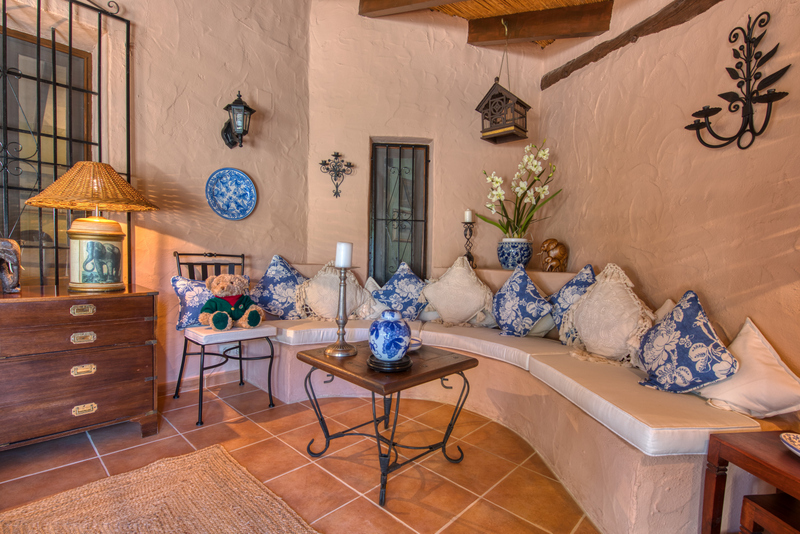 The property has been carefully and lovingly maintained by the current owner, including re plumbing and rewiring and installation of a water softening system for both house and pool.